We have tried different ways of staying in Prague. Twice Vindrose Rejser have arranged hotels. 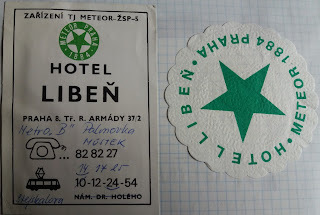 The first time (1991) we stayed at hotel Liben. It was at that time a rather modest hotel almost like a youth hostel in accomodation, but it was quite easy to get to the center of town by metro. The second time with Vindrose we stayed at Pension Unitas. It is an interesting place. Originally a convent build by the Jesuits. When Maria Theresa abolished the order in 1773, the convent was sold to the town and used for storage. Later it was used for concerts and among others Beethoven, Wagner and Dvorak have played here. In the middle of the nineteenth century it was handed over to the Grey Sisters. After the election in 1948 the communist party gained power, and in 1950 the convent and the church was occupied by the Secret Police and the Grey Sisters transported to detention camps. The building was equipped with a prison, and enemies of the regime were interrogated and imprisoned here. Vaclav Havel was one of the prisoners. 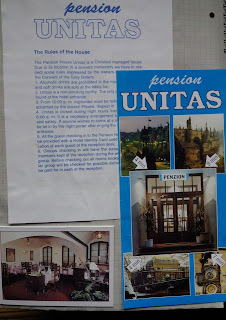 After the revolution in 1990 the Grey Sisters got back the convent, and to finance the reconstruction part of the convent was made into the Pension Unitas. 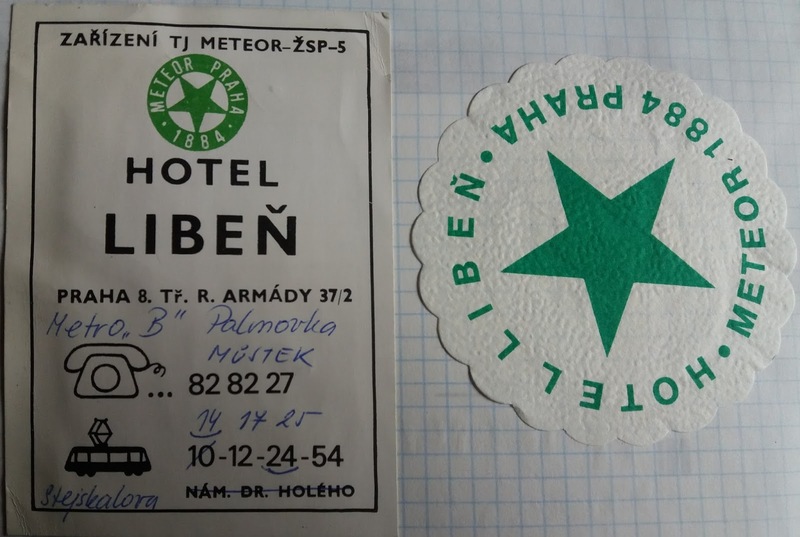 When we stayed there, there were 20 cells in the basement with bars blocking the windows and a 12 cm thick and 85 kg heavy iron door. Luckily the room now came with our own key to the door! 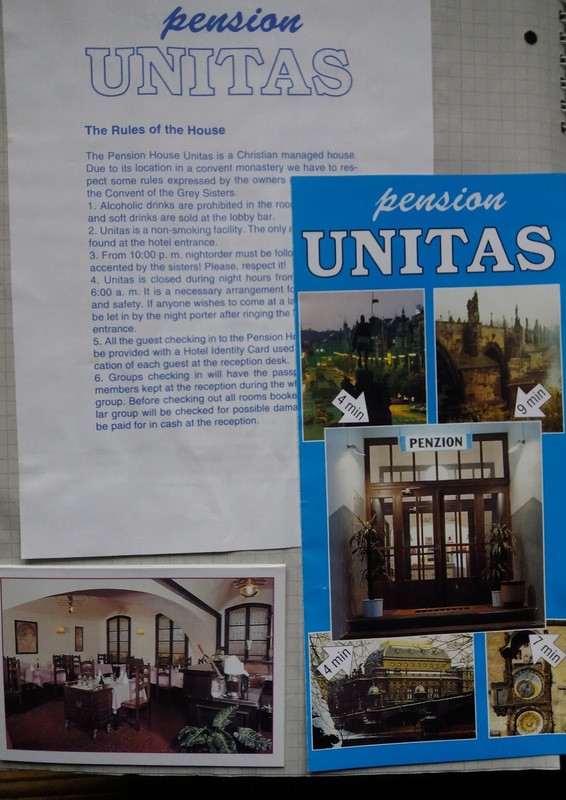 In 2006 the Pension Unitas closed and now it is a 4-star hotel: Hotel Unitas with rather more comfortable rooms. It is situated in the old town - only ca. 10 minutes on foot to The Charles Bridge. Further more we have twice stayed at the Camping Camp Dana Troja. It is a small, quiet campsite with a pension too. Situated approx. 100 m from the tramway, and it takes about 20 minutes to the town center.